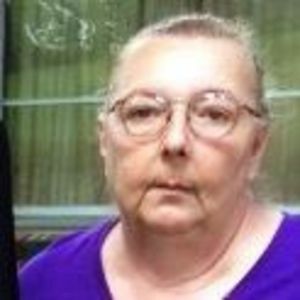 CENTRAL CITY - Deborah Lavon Kelly, age 62 of Central City died Sunday, June 18, 2017. Deborah born April 6, 1955 in Muhlenberg County and was a homemaker and member of the Cumberland Presbyterian Church in Greenville. She was preceded in death by her mother Lois Luckett and grandmother Nellie Edge. Left to cherish her memory is her husband Michael Kelly of Central City; son Christopher (Vicky) Miller of Evansville, IN and daughter Angela (Pete) Holbrook of Dunmor; grandchildren Natalie Miller, Matthew Miller, Tyler Walters, Dalton Holbrook, Jordan Holbrook, Nevaeh Ray, Hayden Ray and Savannah Harris; father Charles Luckett; brothers Charles Luckett and Marty Luckett. Funeral services will be Tuesday, June 20, 2017 at 1:00 PM at Tucker Funeral Home, 113 N. 3rd St., Central City with Dr. Arthur Burrows officiating. Burial will follow in Rose Hill Cemetery. Visitation will be Monday, June 19, 2017 after 5:00 PM at the funeral home. Online condolences can be made at www.tuckerfuneralhomes.com. The beautiful and interactive Eternal Tribute tells Deborah 's life story the way it deserves to be told in words, pictures and video. My deepest sympathy. She was a great woman and a wonderful friend to my mom. I will miss her chats.